What is photodynamic therapy? Photodynamic therapy or PDT is a treatment that uses special drugs, called photosensitizing agents, along with light to kill cancer cells. The drugs only work after they have been activated or “turned on” by certain types of light, such as laser treatments. PDT may also be called photoradiation therapy, phototherapy, or photochemotherapy.Over a certain amount of time the drug is absorbed by the cancer cells. Then light is applied to the area to be treated. The light causes the drug to react with oxygen, which forms a chemical that kills the cells. PDT might also help by destroying the blood vessels that feed the cancer cells and by alerting the immune system to attack the cancer. PDT has shown to have great cosmetic benefit as well. The sun causes damage called photo-aging and the PDT also reverses many of these issues. Over time, skin ages and loses its youthful appearance. Wrinkles appear around the eyes, fine lines bloom around the lips, and age spots surface on the hands. While some of these factors are natural and unavoidable, many of the visible signs of aging are caused by the sun, and can be avoided. What does the PDT treat • Pre-cancerous lesions such as actinic keratoses (AK) • Sun damage • Generalized redness • Weathered looking skin • Rough textured skin due to sun damage • Large pores • Certain types of skin cancers Benefits of PDT for Pre-Cancers Studies have shown that PDT can work as well as surgery or radiation therapy in treating certain kinds of cancers and pre-cancers. It has some advantages, such as: • It has no long-term side effects when used properly. • It’s less invasive than surgery. • It usually takes only a short time and is most often done as an outpatient. • It can be targeted very precisely. • Unlike radiation, PDT can be repeated many times at the same site if needed. • There’s no scarring after the site heals. • It often costs less than other cancer treatments. 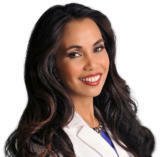 • Have the treatment done regularly to reduce your risk of skin cancer Why We Are PDT experts • Dr Tess is a board certified Dermatologist • She is a skin expert and is extremely knowledgable in treating skin with laser • She has been offering PDT for over 10 years • We not only treat your medical concerns but we can combine the latest in cosmetic treatments to get your skin looking years younger • While many doctors prefer to freeze off pre-cancerous cells, Dr. Tess knows that over time this causes unsightly white marks on the skin. She prefers using PDT using aminolevulinic acid (ALA) because this leaves the skin smoother, brighter and rejuvenated. What is treatment like? Aminolevulinic acid (Levulan) is a solution that’s put directly on the skin and areas of actinic keratosis (AK). Unlike other pre-cancer treatments, it does not reach other parts of the body. This means the lesions are specifically targeted and other areas are not. To increase absorption we apply the Levulan with a Microneedling device. The Levulan is left on the affected skin for about 1-2 hours. A high quality numbing cream is also applied to ensure maximum comfort during the laser treatment. Levulan is activated by laser light. We prefer using the ELOS Fotofacial IPL to target pre-cancerous cells as well as general sun damage and redness. You may feel stinging or burning once the area is exposed to the laser light. Your skin will feel warm and sunburned after treatment. What to expect after treatment IT IS IMPORTANT TO STAY OUT OF THE SUN AND AWAY FROM BRIGHT LIGHTS FOR THE FIRST 2 DAYS AFTER TREATMENT. We recommend that you stay home for the first 2 days after treatment to avoid unnecessary exposure to light. Do not solely rely on topical sunscreen during this time because your skin will be extremely sensitive to the sun. The treated areas may get red and crust for 1 week. Most patients just look like they had a bad sunburn for a few days. Brown spots and pigmented sun damage is more pronounced and sloughs off after about 1 week. Generally the more sun damage you have, the more severe the downtime. We offer healing products that help alleviate much of the issues dealt with while healing. How many treatments will I need The number of treatments needed depends on the following • severity of the sun damage • how aggressive we are able to treat your skin • how responsive you are to treatment • how much downtime you are able to have • your goals Most patients notice significant improvement in a single treatment but for maximum results, 2-3 treatments done every month may be necessary. What is photodynamic therapy? Photodynamic therapy or PDT is a treatment that uses special drugs, called photosensitizing agents, along with light to kill cancer cells. The drugs only work after they have been activated or “turned on” by certain types of light, such as laser treatments. PDT may also be called photoradiation therapy, phototherapy, or photochemotherapy.Over a certain amount of time the drug is absorbed by the cancer cells. Then light is applied to the area to be treated. The light causes the drug to react with oxygen, which forms a chemical that kills the cells. PDT might also help by destroying the blood vessels that feed the cancer cells and by alerting the immune system to attack the cancer. PDT has shown to have great cosmetic benefit as well. The sun causes damage called photo-aging and the PDT also reverses many of these issues. Over time, skin ages and loses its youthful appearance. Wrinkles appear around the eyes, fine lines bloom around the lips, and age spots surface on the hands. While some of these factors are natural and unavoidable, many of the visible signs of aging are caused by the sun, and can be avoided. What does the PDT treat • Pre-cancerous lesions such as actinic keratoses (AK) • Sun damage • Generalized redness • Weathered looking skin • Rough textured skin due to sun damage • Large pores • Certain types of skin cancers Benefits of PDT for Pre-Cancers Studies have shown that PDT can work as well as surgery or radiation therapy in treating certain kinds of cancers and pre- cancers. It has some advantages, such as: • It has no long-term side effects when used properly. • It’s less invasive than surgery. • It usually takes only a short time and is most often done as an outpatient. • It can be targeted very precisely. • Unlike radiation, PDT can be repeated many times at the same site if needed. • There’s no scarring after the site heals. • It often costs less than other cancer treatments. 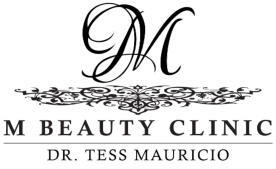 • Have the treatment done regularly to reduce your risk of skin cancer Why We Are PDT experts • Dr Tess is a board certified Dermatologist • She is a skin expert and is extremely knowledgable in treating skin with laser • She has been offering PDT for over 10 years • We not only treat your medical concerns but we can combine the latest in cosmetic treatments to get your skin looking years younger • While many doctors prefer to freeze off pre-cancerous cells, Dr. Tess knows that over time this causes unsightly white marks on the skin. She prefers using PDT using aminolevulinic acid (ALA) because this leaves the skin smoother, brighter and rejuvenated. What is treatment like? Aminolevulinic acid (Levulan) is a solution that’s put directly on the skin and areas of actinic keratosis (AK). Unlike other pre- cancer treatments, it does not reach other parts of the body. This means the lesions are specifically targeted and other areas are not. To increase absorption we apply the Levulan with a Microneedling device. The Levulan is left on the affected skin for about 1-2 hours. A high quality numbing cream is also applied to ensure maximum comfort during the laser treatment. Levulan is activated by laser light. 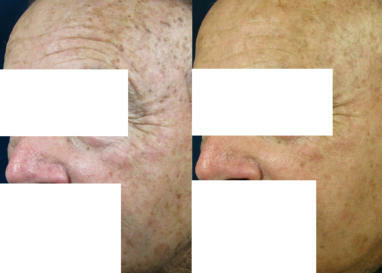 We prefer using the ELOS Fotofacial IPL to target pre-cancerous cells as well as general sun damage and redness. You may feel stinging or burning once the area is exposed to the laser light. Your skin will feel warm and sunburned after treatment. What to expect after treatment IT IS IMPORTANT TO STAY OUT OF THE SUN AND AWAY FROM BRIGHT LIGHTS FOR THE FIRST 2 DAYS AFTER TREATMENT. We recommend that you stay home for the first 2 days after treatment to avoid unnecessary exposure to light. Do not solely rely on topical sunscreen during this time because your skin will be extremely sensitive to the sun. The treated areas may get red and crust for 1 week. Most patients just look like they had a bad sunburn for a few days. Brown spots and pigmented sun damage is more pronounced and sloughs off after about 1 week. Generally the more sun damage you have, the more severe the downtime. We offer healing products that help alleviate much of the issues dealt with while healing. How many treatments will I need The number of treatments needed depends on the following • severity of the sun damage • how aggressive we are able to treat your skin • how responsive you are to treatment • how much downtime you are able to have • your goals Most patients notice significant improvement in a single treatment but for maximum results, 2-3 treatments done every month may be necessary.